When you consider the lower tare weight and greater payloads of Utility’s 3000R®, it’s easy to see how it became America’s top selling reefer. You’ll find features that exceed industry standards including: highest rated floors with 16,000 lb. capacity, built in thermal breaks, stainless steel rear door frame, and our patented Barrier Door®. 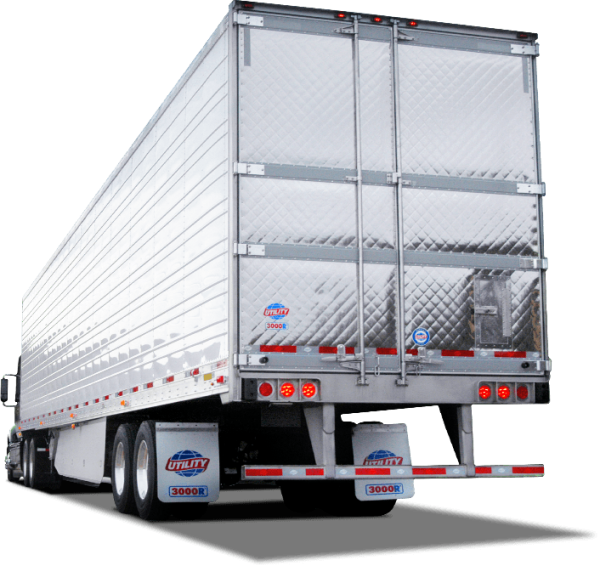 You can also customize your reefer with any number of options to ensure that you get exactly the trailer your company requires. Bonded foam sandwich design features less heat loss with greater durability. External hardware mounting means no moisture path to foam cavity. Does not require painting and resists corrosion. Increases resale value. Satin finish stainless steel for uniform good looks and durability. Multi-point contact with door frame and buckplate for better seal and less air loss. More sealing surface area than any other gasket design. 13-1/2″ deep rear gusset connects rear door frame to bottom rail. Reduces dock damage to adjacent structures and provides a recessed area to protect lower rear lights. Provides greater gathering ability and easier locking. Features standard aluminum hinges and standard center cam which provides increased stiffness and reduces air loss. High tensile steel wingplates with collared holes and embossed ribs for maximum strength and lower tare weight. Formed channel x-braces distribute leg forces into the full width of the leg.